Painting My World: How Do You Paint Clouds When They are Always Moving? How Do You Paint Clouds When They are Always Moving? I love painting the sky! Next to wildflowers it is probably my most favorite subject matter to paint. I have learned much about painting the sky from books and some fantastic instruction. But I learned the most from direct observation. Simply being in tune with the sky and describing it to myself with art words has helped me immensely. 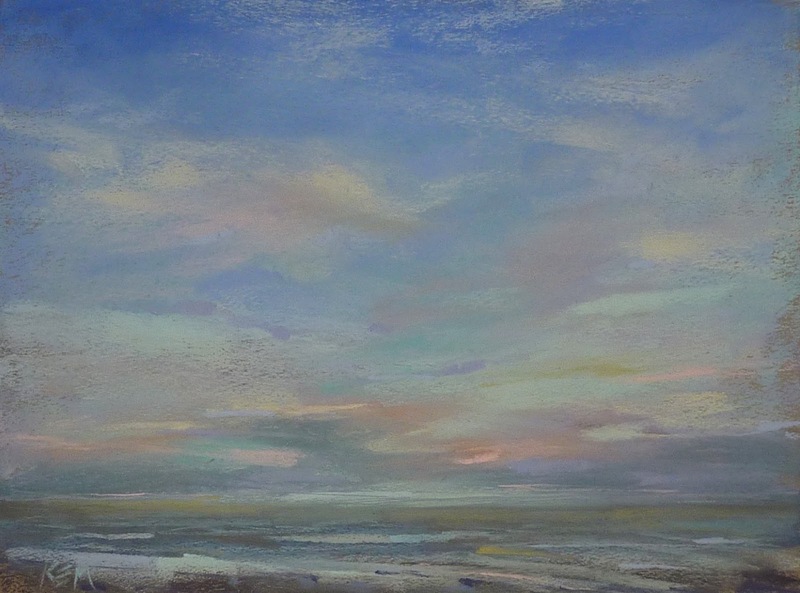 I have also taken the next step and painted daily sky studies from life. 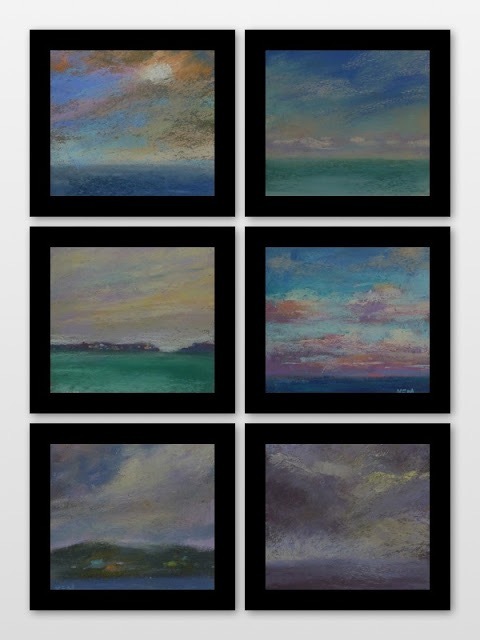 We are spending the month of June learning about painting the sky over on my Patreon page. One of the questions that has come up has to do with painting clouds. It is challenging to paint the sky from life. Especially when there are clouds. Clouds move. They are constantly changing and morphing. The colors change. The edges change. The shapes change. It is almost impossible to paint as fast as they change. That is where direct observation comes to the rescue. When I paint clouds I scan the sky and make a mental note of the types of clouds that are present. I note the size, she, colors, edges of the clouds. And then I paint. I don't look back at the sky except for a few quick glances. I don't worry if the clouds have changed. I use the information I noted and design my clouds to suit the painting....I want a pleasing arrangement of clouds and interesting composition in the sky. Because I have studied and painted the sky so much I am able to rely on my memory and my previous experience to paint an effective cloud and skyscape. Go out this summer and devote yourself to the study of the sky and clouds. You will be putting valuable information into your memory that you can use when you paint the sky! Join us on Patreon this month for just $4 to learn more tips and techniques for painting the sky!